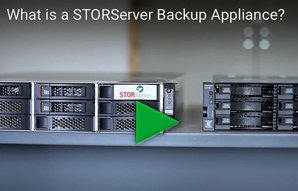 STORServer Partners – Start Selling the #1 Backup Appliance Today! STORServer Backup Appliances are sold exclusively through our reseller channel. We are currently seeking qualified, solutions-oriented partners that have a keen focus on delivering industry-leading solutions and providing world-class support to their customers. All of your customers need proven data backup solutions to ensure the viability of their businesses. Working with STORServer, you can become their trusted data backup partner while saving them time and money. STORServer’s Channel Partner Program has been designed to help you quickly solve your customers’ data backup and recovery challenges while differentiating you from the competition. Join our list of Partners now! We're happy to work individually with you to answer any questions you may have! Please contact us today.